© Richard Drew/AP Photo North Korea’s Foreign Minister Ri Yong Ho speaks outside the U.N. Plaza Hotel, in New York, Monday, Sept. 25, 2017. “The whole world should clearly remember it was the U.S. who first declared war on our country,” Foreign Minister Ri Yong Ho told reporters in New York. His words echoed warnings from the Trump administration that all options were on the table in dealing with North Korea’s nuclear and missile development and its threats to have a weapon capable of reaching the continental United States. 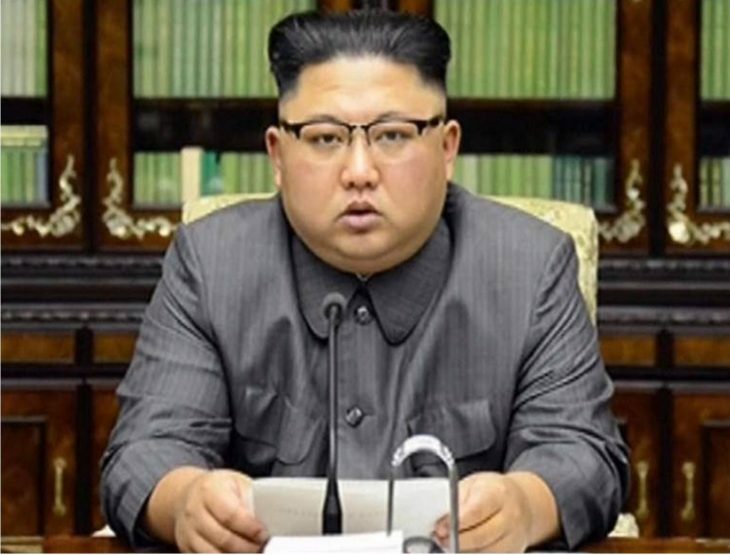 On Saturday, Ri told the U.N. General Assembly that targeting the U.S. mainland with its rockets was inevitable after “Mr Evil President” Trump called Pyongyang’s leader a “rocket man” on a suicide mission. North Korea has pursued its missile and nuclear programs in defiance of international condemnation and sanctions. (Reporting by Michelle Nichols in New York; Writing by Doina Chiacu; Editing by David Brunnstrom and Grant McCool).